A light lemongrass flavoured Thai Vegetable Soup is packed with a wealth of all B-complex vitamins. 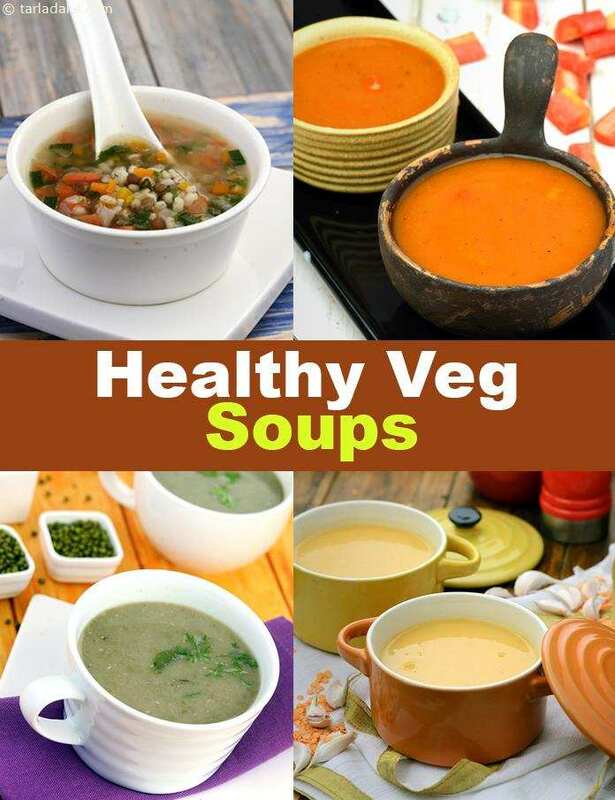 Try to incorporate this soup in your diet to enjoy the benefits of B-complex vitamins which are required for the metabolism of other major nutrients like carbohydrates, protein and fat. Moong osaman, this tangy and light soup works best for detoxification. Moong is easily digestible and this soup contains no spices and little oil. It just has a mild flavouring of curry leaves and lemon juice etc. The ever-popular tomato soup enriched with protein and iron rich rajma giving strength to your hair.